I was doing my makeup today in a very dim light, after application I went into the bath room and laughed at my dragish contour and aunt sally cheeks. This is a mistake I feel I am not alone in, often new products can have more pigment than we realized or natural light just wasn't available to you at a needed time. 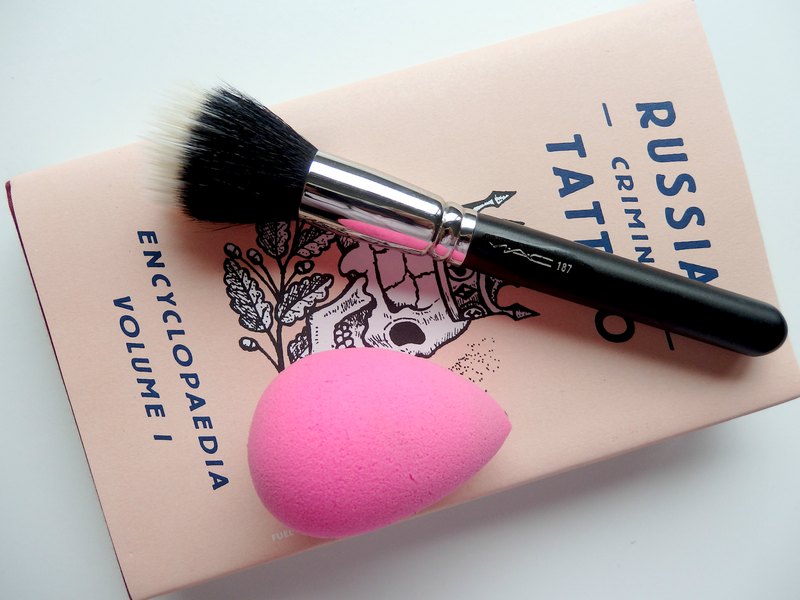 I managed to rescue my O.T.T face with these two trusty tools the Beauty Blender and Mac 187. It made me think that I always use these to help blend out makeup mishaps so thought I'd share with you. So before you go for the cotton pad and ruin that foundation that you really did blend well, read on. The Beauty Blender is great for blending out a dark contour, I have started applying my cream bronze in a stripe and then using the BB for the rest of the application do this and will never again be greated by the drag stripe. The Mac 187 is excellent for dolly cheeks. I just swirl the clean brush over and it picks up an access rouge. Honestly these two are my saviors - if you have them, try them out in this way. If not and you are a early riser or a light up mirror applier these could just save that shocked look you may be greated by on your daily commute.